Obama Quote Or Description Of A Ray Bradbury Book Cover? Time to put your knowledge of politics and science fiction to the test! 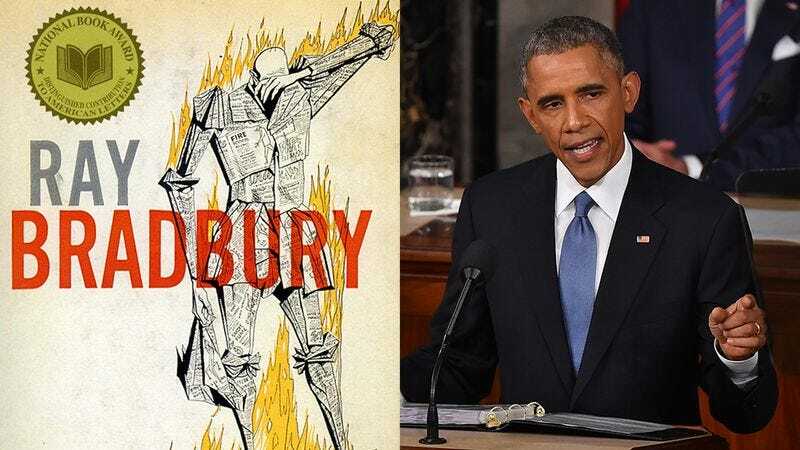 Can you identify which of these passages were spoken by President Obama and which describe the cover of a Ray Bradbury novel?